This year we planted some trial brassica crops. 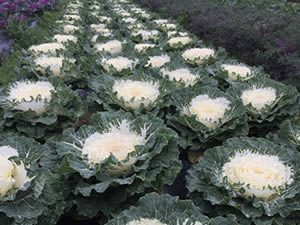 Included in these were some beautiful ornamental cabbages and kale. Not only did they look a picture in the fields, they tasted great too!